We use our feet every day. We often hide them behind the shoes and only start noticing apparent problems when in the shower or on the beach. While we most likely won’t forget to apply cream to our face or treat a pimple, feet are often left behind. 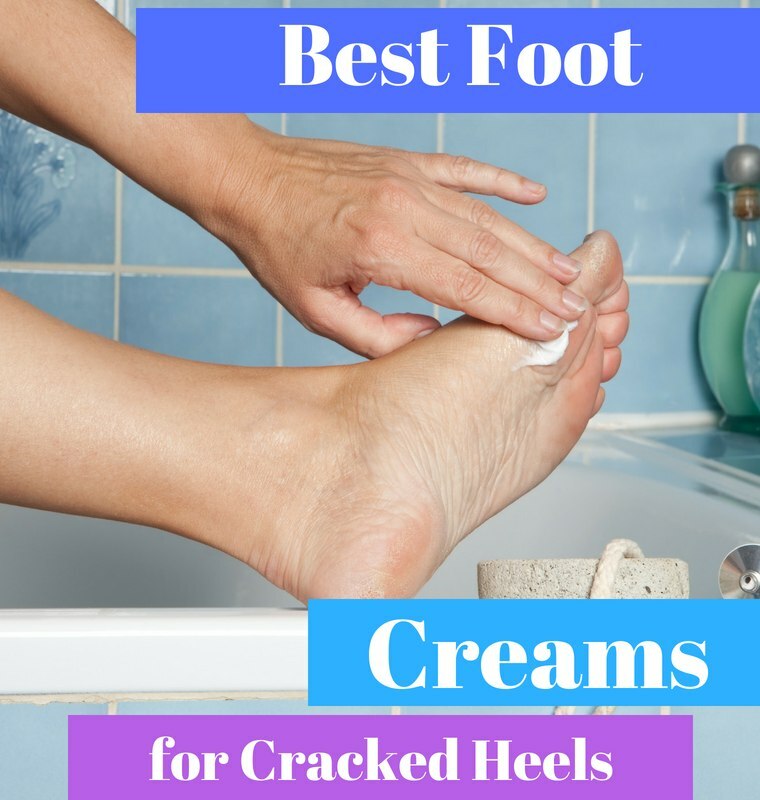 If you suddenly woke up and realized that you probably need to start taking care of your cracked heels, you’re in the right place. What’s the Best Foot Cream for Cracked Heels? Here are 5 creams that stand out in the market just now. Read the reviews below to get a better idea of what each product can offer to you. We’re all different, so it’s important to find something that suits your daily life and fits your values. When it comes to choosing the right product, you’ll obviously have your own preferences. But, here are some of the ingredients you want to look for. Coconut, rapeseed oil can help to coat your skin and lock the moisture in. It has proven to be essential to healing. Thus, you want to always be on a lookout for these oils. A lot of the natural products consist of essential oils. And they’re not just for the scent. Lavender, peppermint, jojoba or eucalyptus essential oils are highly anti-bacterial and anti-fungal. These oils ensure that your feet don’t get inflammation. Believe it or not, bacteria love multiplying between those cracks. While we most often associate urea with urine, we often forget that our sebum glands secrete it too. Why? Urea is a natural moisturizing factor. That means that it hinders water from evaporating out of our bodies. That in turn, keeps our skin moisturized. When the skin has enough moisture, it’s in a healthy state where it can heal much quicker and easier. Thus, urea greatly contributes towards healing cracked heels and locking that moisture in your skin. What to Do to Prevent Cracked Heels? I know, we always look in the mirror and analyze our face but how often do we do that with our feet? If you want to avoid getting cracked heels in the future, you’ll have to stop neglecting them. Here are a few things you’ll have to do to keep your heels smooth and healthy. Wash your feet daily. Do it more than once in the summer. Sometimes, you’ll need to invest a little bit more time and thoroughly clean them. Here is a tutorial on how to clean your feet. Remove hard skin. After all, we use feet every day, so it’s only natural that they get dry and rough. Thus, get the best foot file you can and read my article here on how to get rid of hard skin. Don’t forget to use the foot cream. I hope it’s going to be clearer on which foot creams to buy once you read my reviews below. Pamper your feet from time to time. There is no danger in buying a heated foot spa and letting yourself relax. Comfortable footwear is a must as well! Let’s just start with the fact that this salve is free of parabens. Parabens have received quite a lot of controversy regarding what they do to our bodies. Some studies show that they increase the chances of breast cancer, fertility issues, and chronic diseases. However, FDA clearly states that there is no reason to worry about them. Obviously, you can judge by yourself. However, I know that some of you do try to avoid products that contain parabens. The salve is made out of non-GMO grapeseed oil, organic herbs as well as vitamin E and coconut oil. It’s cruelty-free. It’s slightly scented with rosemary, cedar leaf, tea tree oils which are highly antibacterial. However, it barely has any smell. Since the salve is antibacterial you can even use it on cuts. And the coconut and grapeseed oils coat the skin to keep all the moisture in. Vitamin E and herbal infusions promote healing. Thus, you can easily apply it to your heels in the evening and go to sleep with socks on. The salve will help you to prevent cracked heels as well as treat them. The salve can be used to heal tattoo areas, moisturize cracked lips, and heal burns or any other problematic dry areas that need attention. However, it probably won’t help if you have eczema or other rashes. Remember, helping to keep the moisture inside the skin (which is exactly what this product does) contributes towards the healing. Can be used for healing cuts, burns or other skin problems. The formula of the cream includes Tea Tree Oil, Aloe Vera and Chamomile extracts. Aloe Vera has moisturizing and cooling properties that come in handy when you’re dealing with cracked heels. It’s cruelty-free and comes with an extra pumice stone and a brush. These additions could very well serve your feet in the long run. The product is made by a small company in the USA. So, if you’re interested in supporting small, local business, this could be a good chance to do that. Now, you’ll notice that the product contains urea. As I’ve mentioned above, it’s a powerful natural moisturizing factor that will lock the moisture inside your skin. Apply it right after the shower, put old socks on and let it work its magic. A cheap option compared to other urea products in the market. Might leave white residue on your clothing. The product comes in a 100ml (3.4 oz) bottle. It contains organic sweet almond, olive, grapeseed and lavender oils. Moreover, it has vitamin E and plant-based Glyceryl Stearate. The latter moisturizes and softens your skin. However, it can cause allergies. So, be aware of that. Other than that, the product is vegan, gluten, paraben and GMO free. It’s antifungal and antibacterial too, that’s mostly due to the vast majority of natural oils in it. Since the balm is made out of natural ingredients, you’re safe to use it on any part of your body. Especially on problematic areas with dry, itchy skin. The oils lock in the moisture and help your cracked heels heal. Just use it every day in the beginning, and then apply it twice a week to keep the feet smooth. Also, even though the company states that you won’t need to even use a pumice stone with this product, that’s not really true. I am afraid you’ll still need to scrub those feet and get rid of all the dead skin to really heal the heels. Finally, the product lasts for quite a while since you only need one pump to cover those feet. If you’re not happy, you can get your money back, and you don’t even need to send the bottle back. I think that’s pretty impressive. I haven’t heard of the company that had done that before. Money back guarantee with no returns. Has very oil consistency that can be annoying. A slightly bigger sized natural cream that contains organic coconut, sunflower oil, shea butter, beeswax and peppermint, lavender, eucalyptus and tea tree essential oils. There is no doubt that the product is highly antifungal and antibacterial thanks to all the essential oils. Additionally, the cream is paraben, GMO and Soy free. And, obviously, it’s not tested on animals. Unfortunately, this product cannot be used around your eyes and possibly face. That’s mostly due to the strong base of essential oils that can be quite irritating to more sensitive areas of your body. This product stands out with a thick formula, so it sticks to your feet pretty well. That’s quite important if you just want to apply it and go about your day. So, it’s perfect if you take early morning showers and just want to apply it before going to work. Due to the consistency of the products above, they’re more suitable for night use. The product is made in North Carolina, USA. Thus, if you want to support a local, good quality product, this might be just the right time to do it. Won’t help with athlete’s foot. Small amount for the price. Will turn liquid I left in a very warm place. There is a reason why this product is last on my list. It‘s not cruelty-free. Which, I personally don‘t like. However, it‘s a medical grade vaseline. And all vaselines are NOT cruelty-free. However, they tend to be very effective when it comes to dealing with cracked heels. I would choose this product, if nothing from above has helped. It‘s often used in hospitals and recommended by doctors due to its versatile features. It has no fragrance, so you can easily use it on babies too, especially when your child is suffering from diaper rashes and other irritations. No foil seal on tube opening. Let me know which one is probably the best foot cream for cracked heels! Perhaps you have any other suggestions? 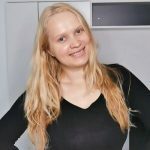 Is there something that has worked specifically for you? I’d love to find out!